HotelRunner includes built-in analytics that provides insights you can use to power and increase your online sales. Want to get a deeper insight into your hotel’s online activity? How many reservations did you get in this week? How many people do you expect will check into your property today? Find out fast with one consolidated view – all the information you need. The HotelRunner dashboard makes it easy to keep track of your hotels’ activity. Generate reports for every online sales channel and analyze the results to identify your best-selling channel as well as those instances where you perform below expectations. With HotelRunner, it’s simple to optimize your room inventory based on current reservation data instead of old forecasts. We enable you to make smart decisions about how and when to launch special promotions and offer discounts. Driving traffic to your hotel website takes time, effort, and money. What’s bringing you the highest quality traffic? HotelRunner helps you make the most of your marketing budget and lets you see what’s a transforming visitor into a guest. 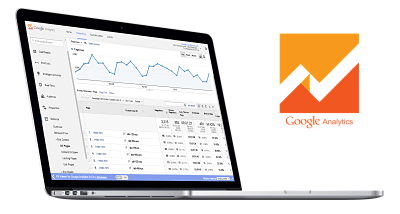 Google Analytics helps you track your visitor traffic and paint a complete picture of your audience and their needs. Integrate Google Analytics to your HotelRunner website and booking engine, and analyze your guests’ booking behavior in detail from your Google Analytics dashboard. 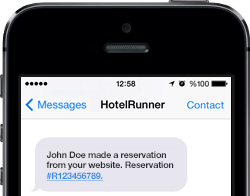 Define your cell phone number to receive your reservations via SMS to your mobile. Never miss a booking and be informed on the go with brief messages informing you about a reservation.